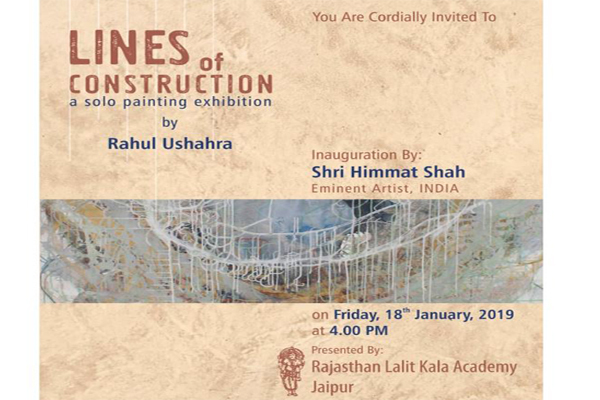 You are cordially invited in my (Rahul Ushahra) solo painting exhibition from 18th to 21th Jan, 2019, at Rajasthan Lalit kala Academy, Jaipur. Kala Bhavan Visva Bharti, University of Santiniketan. Ministry of Culture, New Delhi, India. Prafulla Dahanukar Art Foundation, Mumbai. Indian Contemporary Artists’ Guild, West Bengal. organized by Rajasthan Lalit Kala Akademi, Jaipur. by Ityadi Art Foundation, Jabalpur.